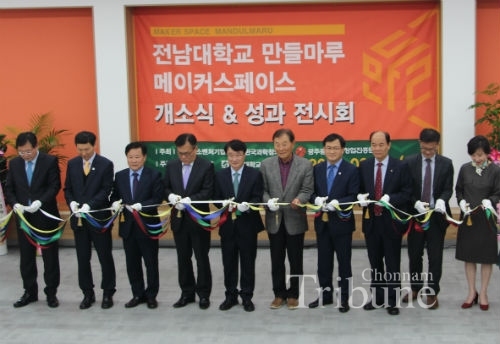 ▲ A ribbon-cutting ceremony to celebrate the opening of the CNU Mandeulmaru Makerspace took place on March 28. 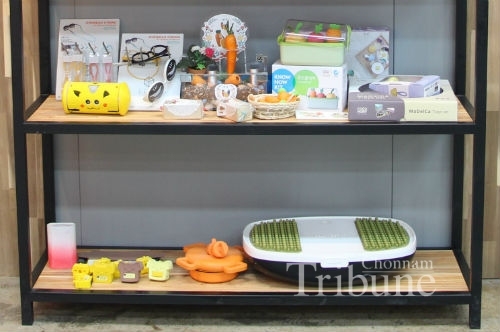 Chonnam National University (CNU) held a Mandulmaru (Makerspace) opening ceremony and its product exhibition on March 28. Mandulmaru is only one professional makerspace in the Honam region, where students can fulfil their bright ideas. 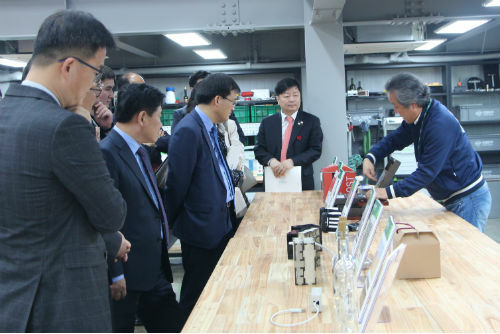 It has a production infrastructure where everyone can make their ideas come true with production-related equipment including 3D printers. It operates three educational programs for students and local residents - Open Maker, Advanced Maker, Master Maker. When students complete each course, they can obtain a level certificate with different authority and points.